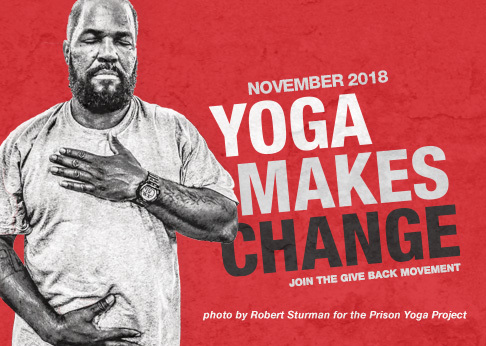 Learn how to help veterans and others impacted by trauma to find a calm and steady body/mind through Mindful Yoga Therapy’s field-tested program of yoga, breathwork, yoga nidra, meditation and gratitude. Our 15-hour trainings prepare yoga teachers to offer trauma-informed classes in their community, while the 100-hour certification program gives teachers the in-depth knowledge that’s required to lead Mindful Yoga Therapy programs in clinical settings. Venue and registration info below. Mindful Yoga Therapy is an empirically informed, clinically tested program comprised of five practices: Pranayama (breathing), Asana (postures connected with breath), Yoga Nidra, Meditation, and Gratitude. Each practice is a tool that Veterans can use to cope with Post Traumatic Stress. Together, they form a comprehensive system – a toolbox – that will carry Veterans into a life of strength and resilience. Mindful Yoga Therapy’s 15-hour training intensive is designed to prepare yoga teachers to offer trauma-informed Mindful Yoga Therapy classes in their community; while the 100-hour certification program provides an in-depth course of study that prepares teachers to work with veterans in clinical settings. These trainings are open to yoga teachers who are certified as an RYT-200 or higher; or who are currently enrolled in a 200-hour yoga teacher training course. ~ Why yoga for trauma? Fifteen (15) hours of Yoga Alliance continuing education credits are available. The Mindful Yoga for Trauma 15-Hour Adaptive Yoga Training helps teachers to share the healing practices of yoga with everyone, regardless of physical limitations. Through hands-on practice and discussion, learn a new set of tools for understanding how to work with postures in your own body, or the bodies of your students. Fifteen (15) hours of continuing education credits are available. One hundred (100) hours of Yoga Alliance continuing education credits are available. Learn more about the program. The prerequisite for the Mindful Yoga Therapy certification program is a minimum of a 200-hour yoga teacher training. If you are not yet a 200-hour certified yoga teacher, the Embody Yoga 200-Hour Certification Program offered through Mindful Yoga Center in Newington provides a well-rounded, in-depth study of yoga to fulfill this prerequisite. Learn more about the program. Mindful Yoga for Trauma trainings are generally three-day intensives held over the course of a weekend, offering 15 hours of instructional time. Mindful Yoga Therapy’s 100-hour certification course generally consists of five weekends of instruction, held once monthly over the course of five months. To view the most recently added dates across the country and internationally, visit MindfulYogaTherapy.org. Registration begins at $395 for Mindful Yoga Therapy’s 15-hour trainings, and $1,500 for the 100-hour certification course. Pricing may vary for special workshops and intensives that offer more or less than the standard hours of instruction. Find a Mindful Yoga Teacher Training near you.